It was time to get creative. I haven’t played in creativity or gotten my hands covered in paint in far too long. I remedied this last weekend. One of my favorite artists is Tamara LaPorte. She creates stylized, whimsy ladies and I simply love her style. I’ve taken many online courses from her over the years. One of her courses is Lifebook 2019. Lifebook provides a new online art lesson each week for a year, each lesson taught by either Tam or a one of 32 renowned artists from around the world – all of whom I absolutely love. It’s an incredible opportunity to learn from many talented artists and to step outside my comfort zone to learn new techniques and try new styles while also developing the style I love. 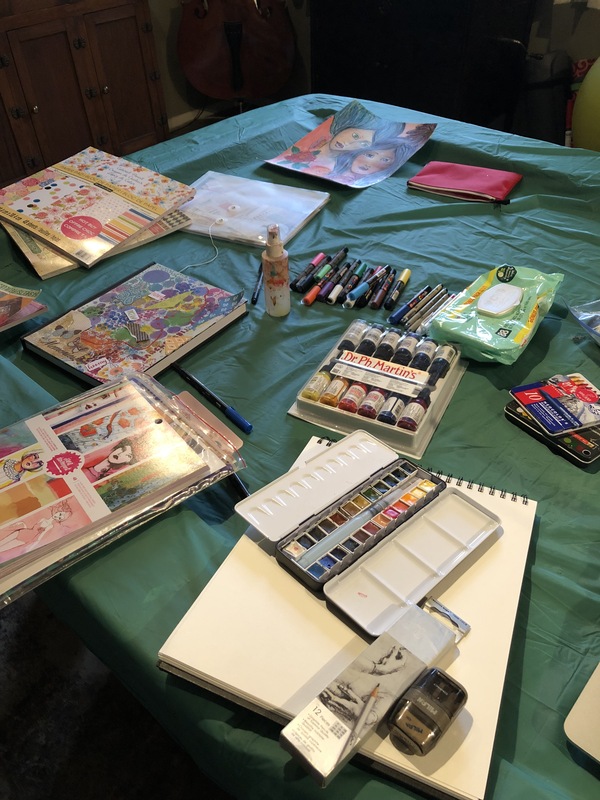 Each lesson is a mixed-medium art project, which means you have the opportunity to play with many different types of art supplies. Tam provides a holistic approach to creativity, self-development and healing which is one of the aspects I really enjoy. She creates a nourishing environment in which you can learn, explore, grow and have fun. I first signed up for Lifebook in 2016. At that time, I was a newbie and learning how to paint in Tam’s style was intimidating. It took a very long time to learn from the tutorials as I did a lot of rewinding to get the finer details of the lessons. I was excited that my first lesson of 2019 was one of Tam’s new lessons. We were painting a New Year Angel to support us throughout the year. A blank slate and a furry helper. The first step was sketching the lady I was going to paint. 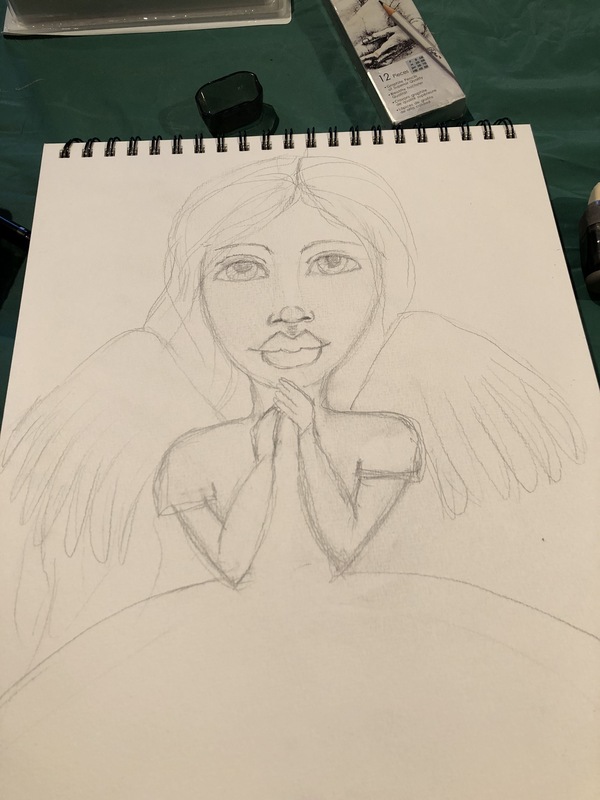 As part of the lesson, Tam provides a detailed pdf of each step of the project and she also provides a version of the lady that new artists can copy and trace as they begin to develop their skills. I remember my very first lady many years ago and the relief to have the opportunity to trace her to feel the skill of drawing in her style. As I reminisced of the first lady, I also acknowledged how far I’ve come in developing the skills necessary to freehand the initial sketch. 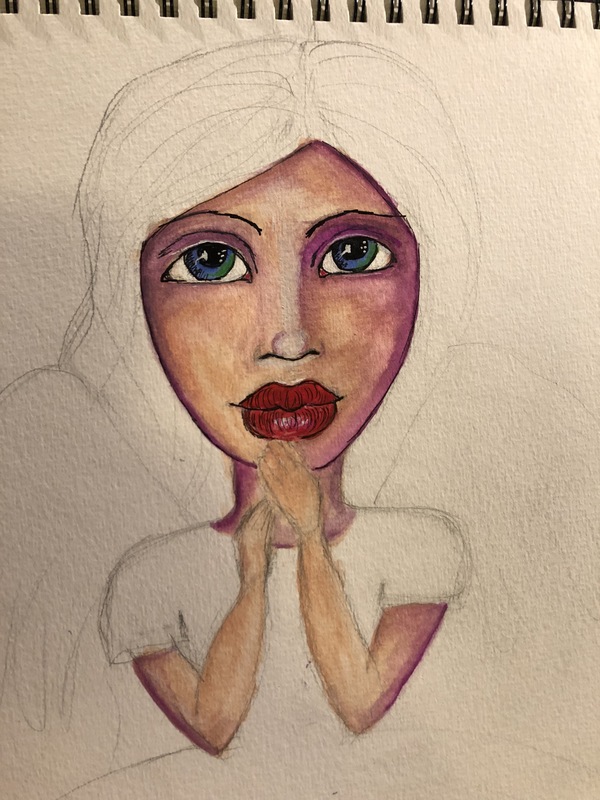 I was creating this lady in an 11×14 mixed medium journal with cold pressed paper using water color paint from Florence, Italy. 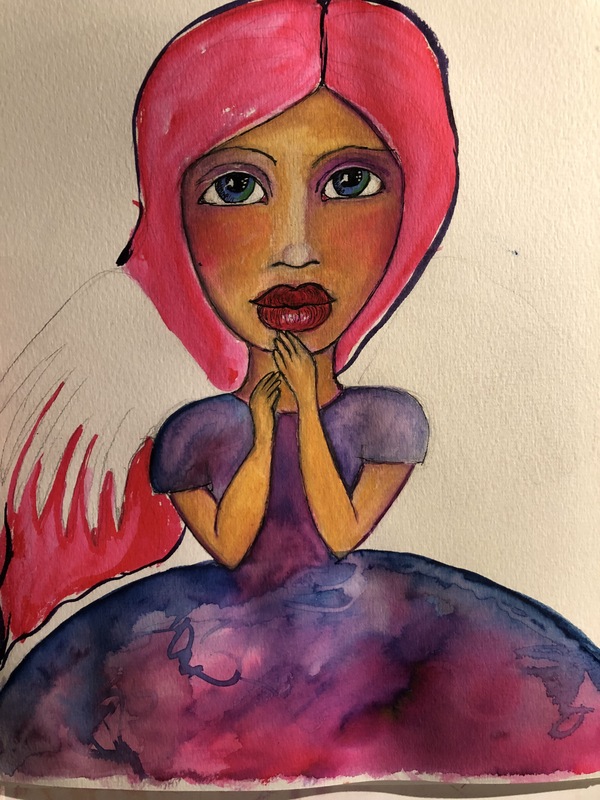 I used watercolor paint for the vast majority of this painting, using 3 different types of paint: Tomboy markers, Jane Davenport pens, and pan watercolors from Florence, Italy. My favorite accent pens are Posca markers, which are acrylic paints in a marker. 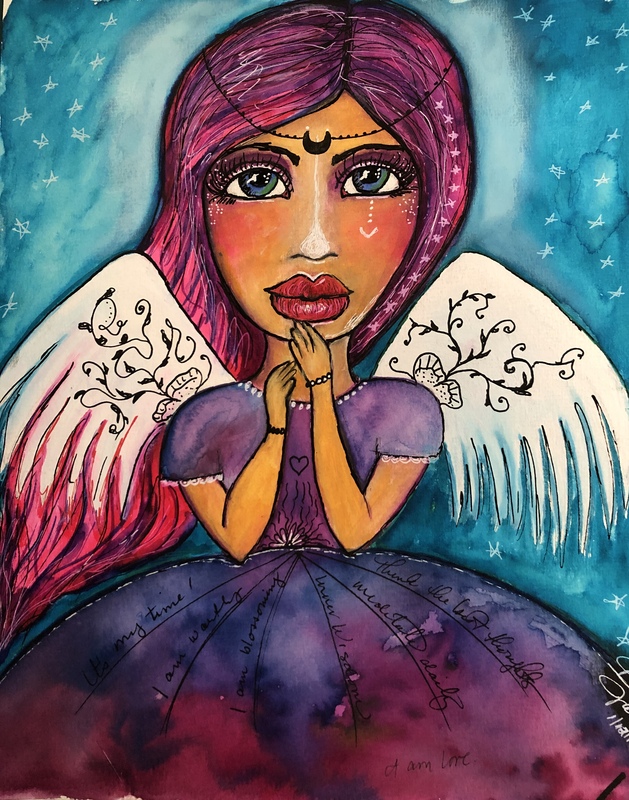 The finished New Year Angel, here to guide my creativity in Lifebook throughout the year. 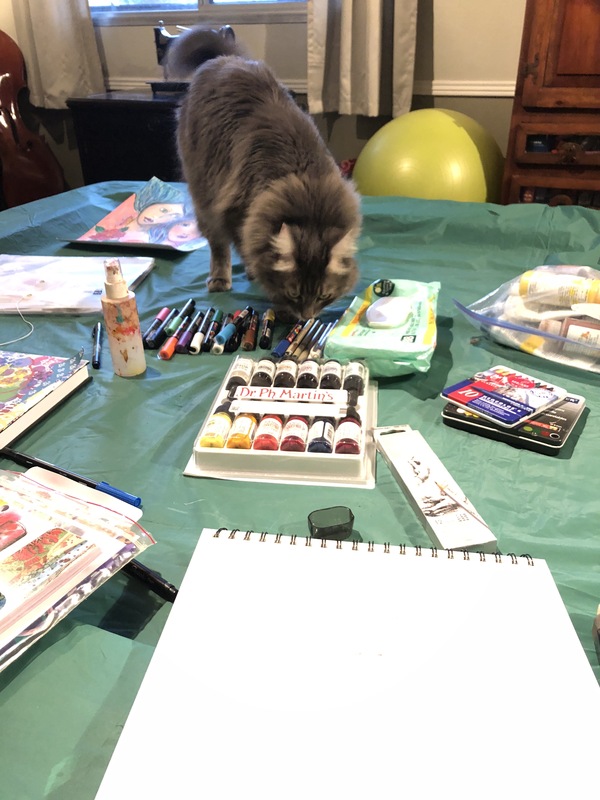 If you are a creative and enjoy learning new styles, skills and techniques in a nourishing, supportive and fun environment, check out Lifebook 2019 and give yourself the weekly gift of artistic learning and self- expression.